Every evolution toward self-discovery is sacred. Every quest to realize the meaning of life and one’s reason for being is, as the great philosopher Joseph Campbell instructed, a hero’s journey. Some hold their life experiences as close to themselves as they do their own breath, while others, like Dr. Queen Shamala Sykes, are born to teach, to use their life journeys as lessons—compelled to share wisdom garnered from their own experiences with other seekers. In her masterful work, Blackbutterfly Soul Song, Queen Shamala shares riveting experiences from her personal journey as she searched for the meaning of her life. The book culminates with profound revelations and a powerful soul awakening. Queen Shamala is an ordained minister and metaphysical practitioner who facilitates guided group meditations, spiritual counselling sessions, autobiographical writing classes and ancestral painting. She is the founder of the University of Creative Light Initiation System (UCLIS), where art, writing, meditation and service are used to restore divine balance and honor the higher self. Born in North Carolina, Queen Shamala is a long-time resident of Los Angeles, where she worked for more than thirty years as a secondary school counselor with the Los Angeles Unified School District. 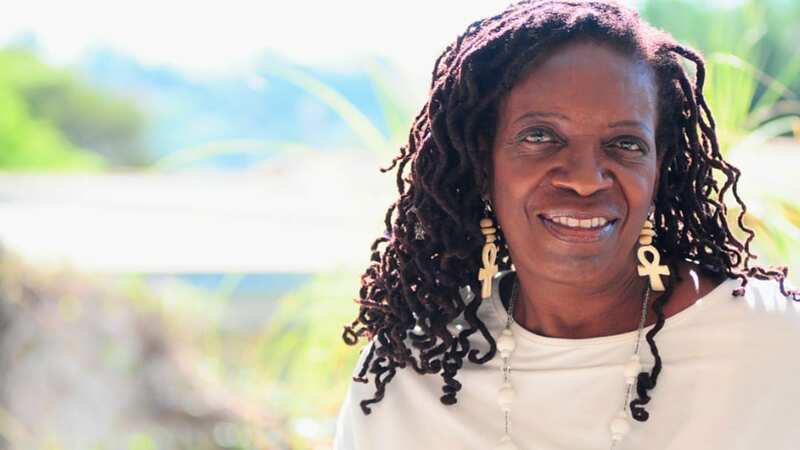 She holds an undergraduate degree in Psychology from the University of Southern California, a master’s degree in Psychology from California State University, Los Angeles, a Doctor of Theology from Christ is the Answer Unity in Florida and is completing a PhD in AfRaKan Spiritual Science from the University of Creative Life Initiation System (UCLIS) in Los Angeles. Queen Shamala is also an artist who, in her Artful Lifestyle Studio in Eagle Rock, paints images of love, light, energy and upliftment while also touching and inspiring others to live from purpose and with passion. Sometimes it is not the big things that guide us in our quest for answers to these timeless questions, but instead, can be one of the 10,000 little things that can occur in our daily lives—incidents that to others, might go unnoticed, ignored and/or are quickly forgotten. For Queen Shamala it was indeed one of those 10,000 little things that for her, has lingered as inspiration for a lifetime. In her case, it was the memory of a chance touch of a butterfly’s wings that stayed with her and years later encouraged her quest for a deeper spiritual awareness—a search for the soul. As a gift to herself on her 50th birthday, she had a butterfly tattooed on the same arm. She described the pain and discomfort of the tattoo process and added jokingly how until that day, she had not learned the ‘no pain, no gain’ principle of some life experiences. On a lighter note she shared, “I became intrigued with the butterfly as the mystical creature continued to show-up in my life,” adding how she began to wonder what it meant. As she continued studying the concept of the soul, Queen Shamala paralleled her new found understanding of the soul with the butterfly and its process of metamorphosis. She came to realize much like the butterfly, humans are also on a path of rebirth and reawakening. “I realized that reawakening the soul, is similar to the changes that the butterfly experiences as it births itself,” she explained. In her insightful work, Blackbutterfly Soul Songs, Queen Shamala shares this powerful journey to soul awareness in a way that guides, informs, inspires, elevates, and validates the journeys of all who immerse themselves in the wisdom of this work. In a clear, riveting and precise voice uniquely her own, Queen Shamala skillfully unfolds her compelling, bitter-sweet journey to soul awareness and personal enlightenment. Marrying the wisdom of the ancestors with thoughtful symbolism and poetic expression, she opens a door to personal wholeness, universal connectedness and illumination that can be transformative for those seeking a greater understanding of the soul in alignment with spiritual awakening. “You will find the journey is not static, linear or predictable, but multi-dynamic,” Queen Shamala explained, through it, “You can learn to live a bold and creative life.” Adding, “Much testing, reflecting and living must intervene before we can say, ‘My soul is my own.’” Blackbutterfly Soul Songs is the perfect place to begin this journey. 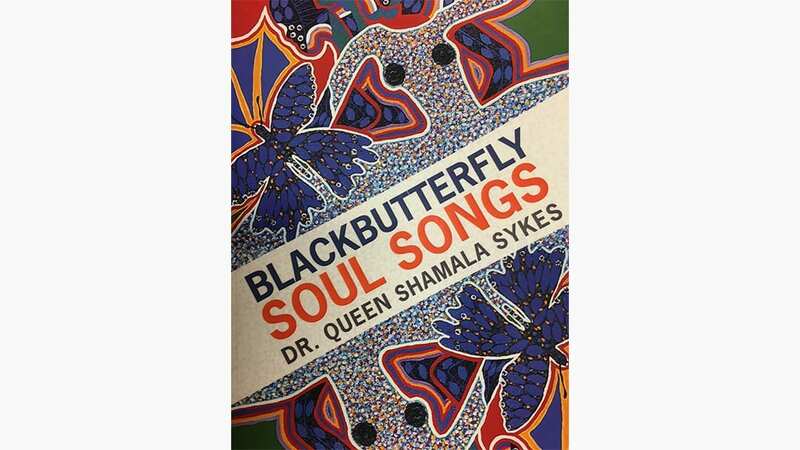 Blackbutterfly Soul Songs by Dr. Queen Shamala Sykes is now available online at Shamalasykes.com and Amazon.com.